+ 4 = 12 Required Please enter the correct value. 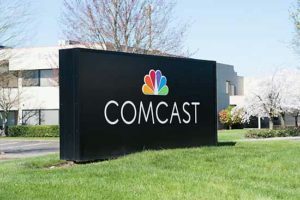 The Dow Jones news today: The Dow Jones futures projected a 35-point gain after Comcast Corp. (Nasdaq: CMCSA) made an aggressive offer for the assets of Twenty-First Century Fox Inc. (NYSE: FOXA). The cable and Internet giant has offered $35 per share, countering the offer recently made by Walt Disney Co. (NYSE: DIS). The all-cash offer is a 19% premium to Disney's offer and brings Fox's valuation to $65 billion. Shares of FOX gained nearly 1% in pre-market hours. Following the June FOMC meeting, silver prices are hovering at very attractive price levels. With interest rates heading higher, it's going to be a very good time for silver hounds to buy on the dip and deliver incredible profits in the months ahead. Learn more right here. On Thursday, the European Central Bank held its meeting in Latvia to discuss the future of its quantitative easing program. The central bank of the world's largest economic bloc said that it will likely end its quantitative easing program in December. This represents an extension beyond the current plan to end the stimulus program in September. ECB President Mario Draghi said the program would be reduced to 15 billion euros each month during the final three months of the year. Yesterday, the U.S. Federal Reserve raised interest rates for the second time in 2018. The central bank said that economic growth has been rising at a solid rate and hinted that it could raise rates two more times this year. Fed Chair Jerome Powell did raise an alarm on Wednesday after stating that companies are holding back on investment due to ongoing concerns about U.S. President Donald Trump's trade policies. Trump is expected to decide this week on whether to proceed with tariffs on about $50 billion in Chinese goods. Trade tensions are heating up again. This morning, China announced it would call off its deal to avoid a trade war if the Trump administration proceeds with tariffs on Friday morning. Tomorrow, the Trump team will decide if it will hit China with tariffs on roughly $50 billion in goods. Adobe Systems Inc. (Nasdaq: ADBE) will report earnings after the bell Thursday. The software giant is expected to report earnings per share of $1.54 on top of $2.15 billion in revenue. Insider buying is alive and well at Tesla Inc. (Nasdaq: TSLA). Chair and CEO Elon Musk purchased $25 million in company stock, according to a regulatory filing. Meanwhile, Musk's Boring Co. announced it will build a high-speed rail train from downtown Chicago to O'Hare Airport. Given that this would happen in Chicago, it will probably be finished in 2083, after all the lawsuits and work stoppages. Look for additional earnings reports from Finisar Corp. (Nasdaq: FNSR), Jabil Inc. (NYSE: JBL), Quantum Corp. (NYSE: QTM), Fred's Inc. (Nasdaq: FRED), The Michaels Cos. (NYSE: MIK), and Cherokee Inc. (Nasdaq: CHKE).